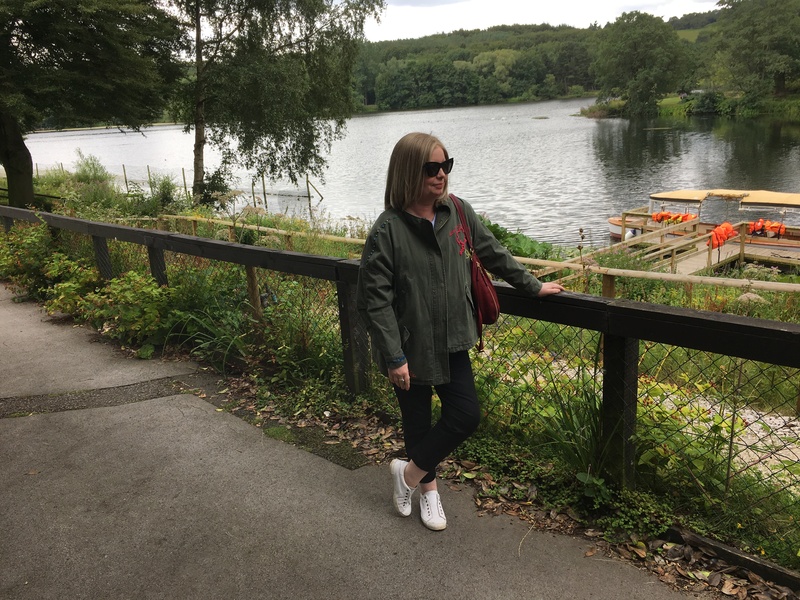 Having explored the stunning mansion that is Harewood House, we quickly grabbed some (delicious) lunch in their cafe then headed outside to explore the very extensive grounds. 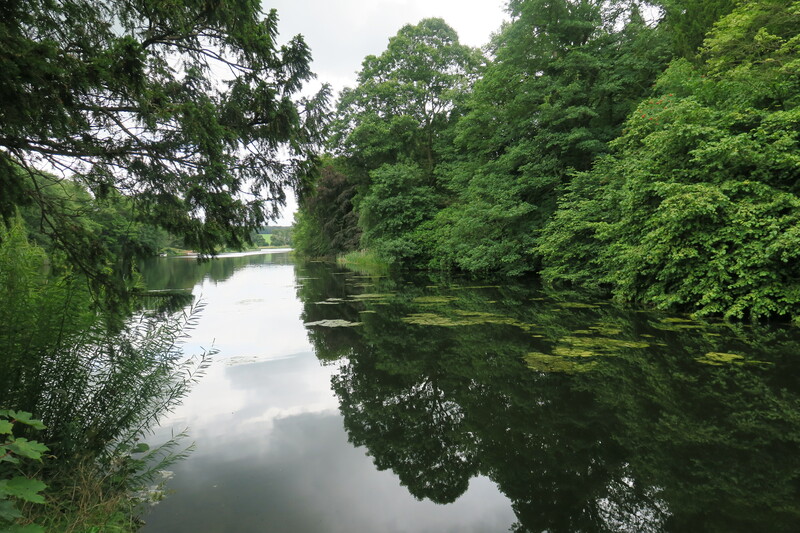 There are acres of gorgeous gardens set in a Capability Brown landscape – a lot to see. 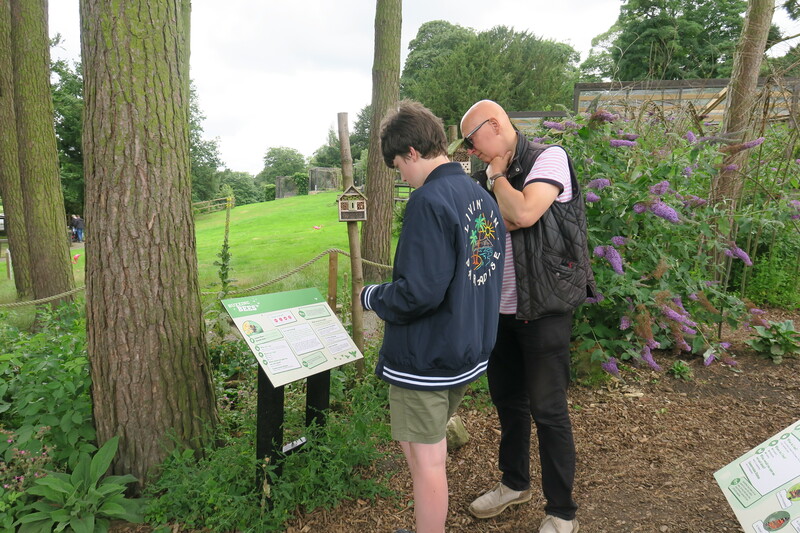 Son perked up again after food and water and was most interested in the wildlife that calls Harewood home. 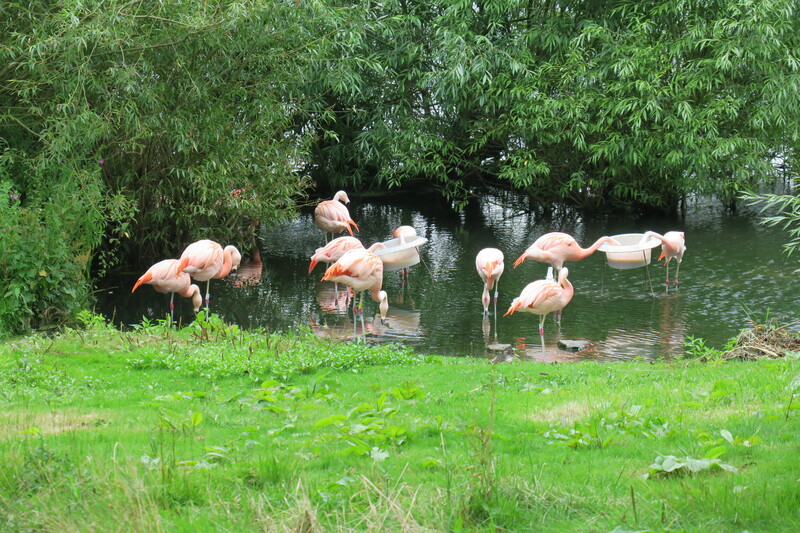 We went back to have another look at the penguins and also found some flamingos and parrots. 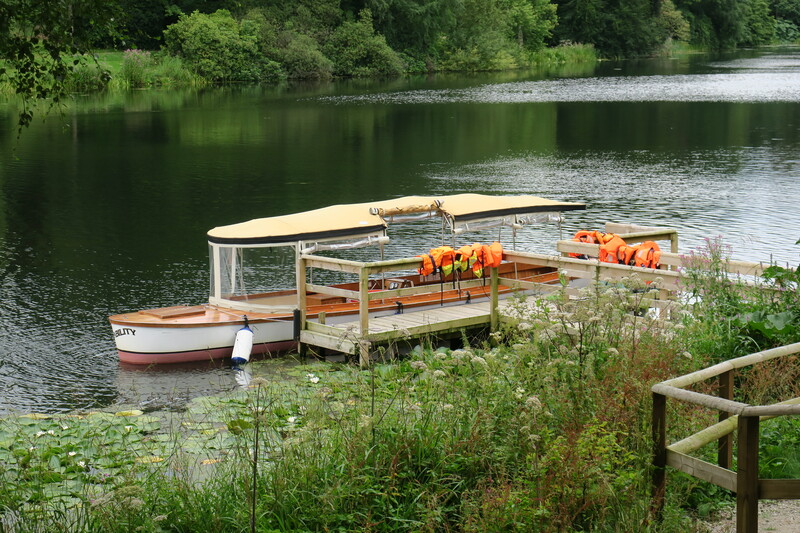 We dithered with the idea of taking a boat trip on the lake. 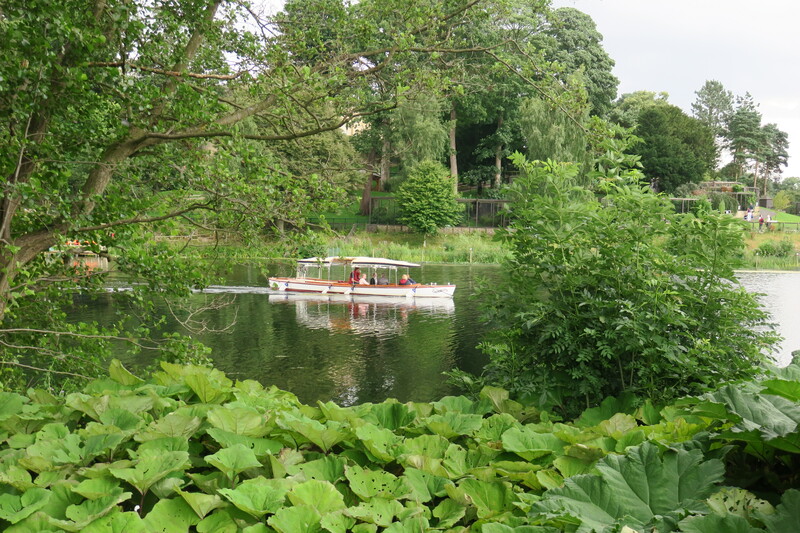 The boatman had gone on his lunch break and wasn’t coming back for an hour – that helped us decide. It was a stroll by the lake instead. 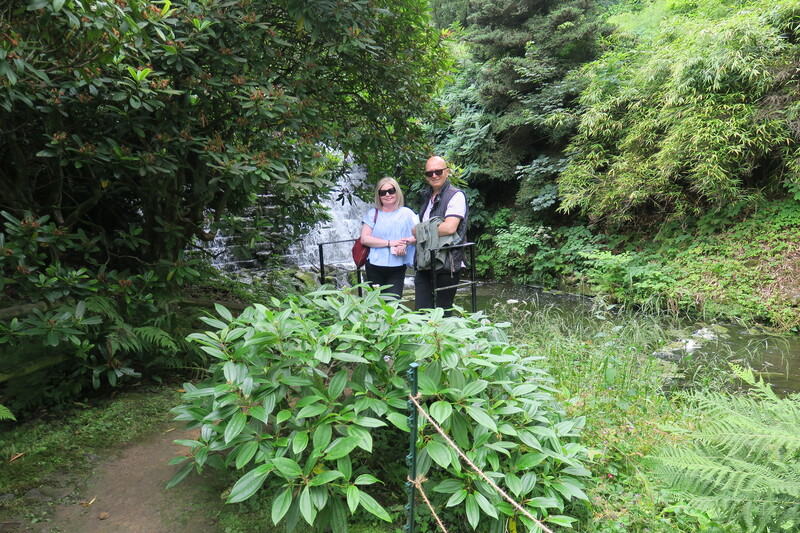 The grounds at Harewood are extensive and so beautifully maintained. I loved it, this is the most perfect place to walk and wander. 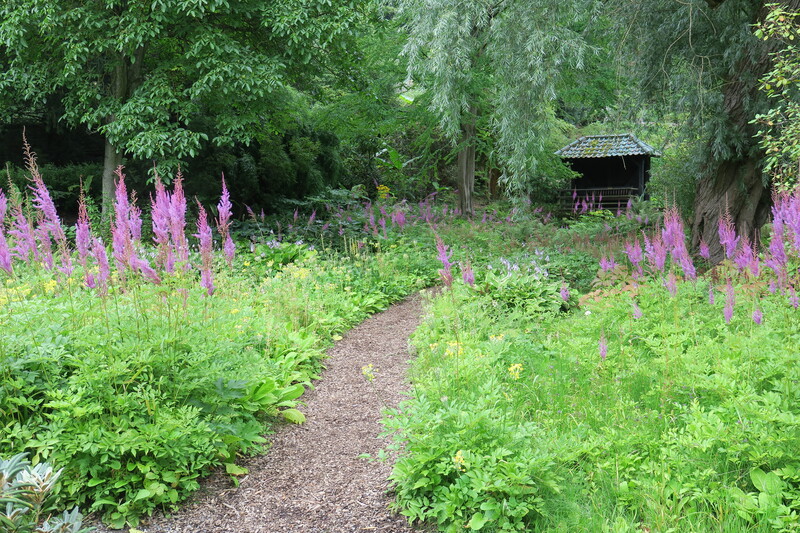 My favourite was the Himalayan Garden with its wonderful plants and landscaping. 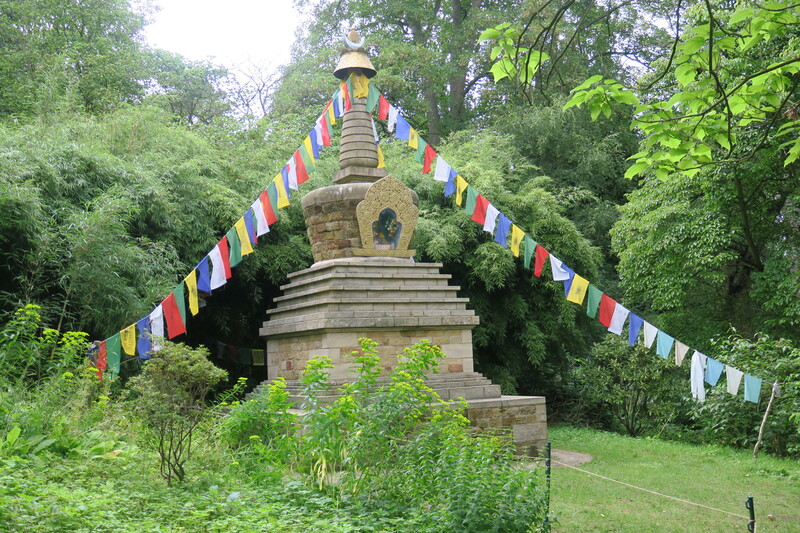 Son was intrigued by the Harewood Stupa, a Buddhist monument built by monks from Bhutan and apparently the only one of its kind in the UK. 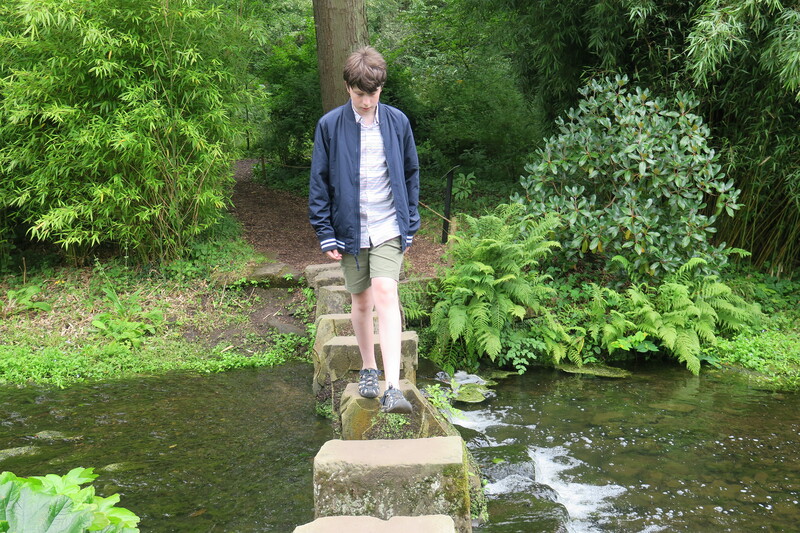 Much fun was had on the stepping stones, he really did find a new burst of energy here and that stream was crossed multiple times. 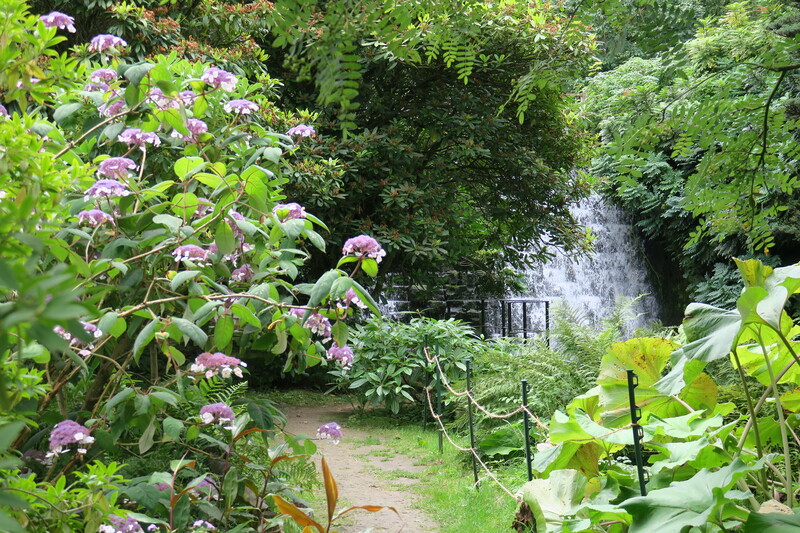 The rhododendrons, primulas and ferns were all in full bloom during our visit and were stunning. After our outside explorations were done of course it was time for ice-cream. We joined a lengthy queue but the wait was worth it. My rather lurid coloured cherry flavour ice-cream was the perfect way to end our day at Harewood House. Joy, beautiful grounds for sure and the perfect place to stroll! Eating ice cream is the ideal ending! 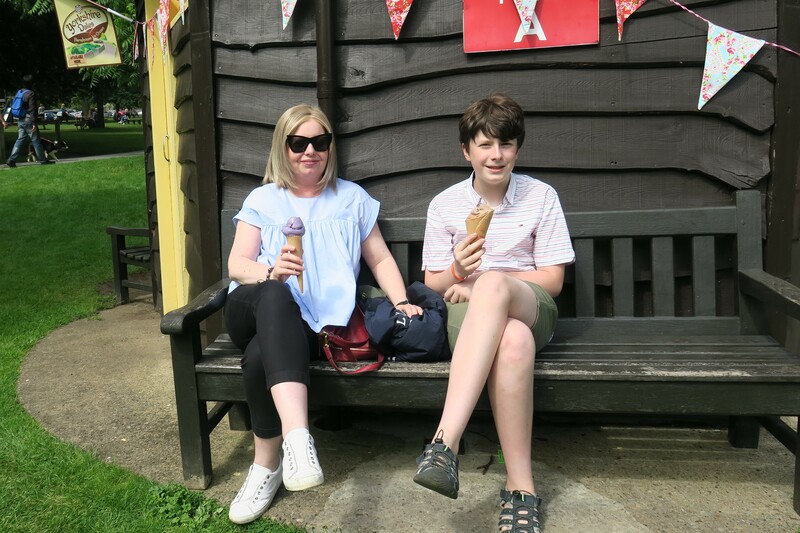 It was a gorgeous walk Pam and yes – the perfect ending with delicious ice cream! Lovely pics! It is on my list of places I still need to see here… Sounds like a great day out with the grandies! It’s gorgeous, interesting and loads of fun for all ages. I’m sure you would enjoy it. I know i’ve been her, but though I remembered the house I don’t remember the grounds at all. They look wonderful (including the ice cream). So nice that the weather kept nice for your walk through the grounds. 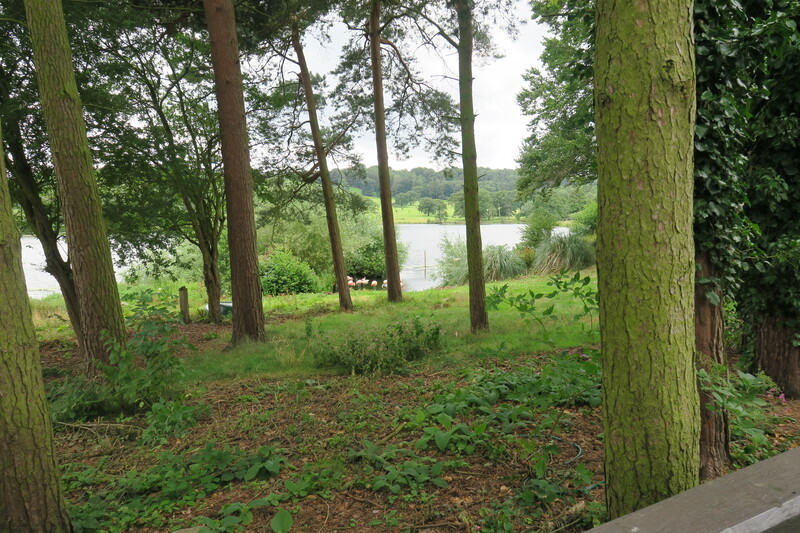 I can remember the lake and the flamingoes and that they had an adventure playground which our then two very young sons adored. I wonder if its still there, in some form or other? Hope you have a good weekend before getting back into the school routine! Hate these dark evenings ! I think the adventure playground is still there – our (then almost 14 year old) son refused to go, sadly I think those days are past for us!! 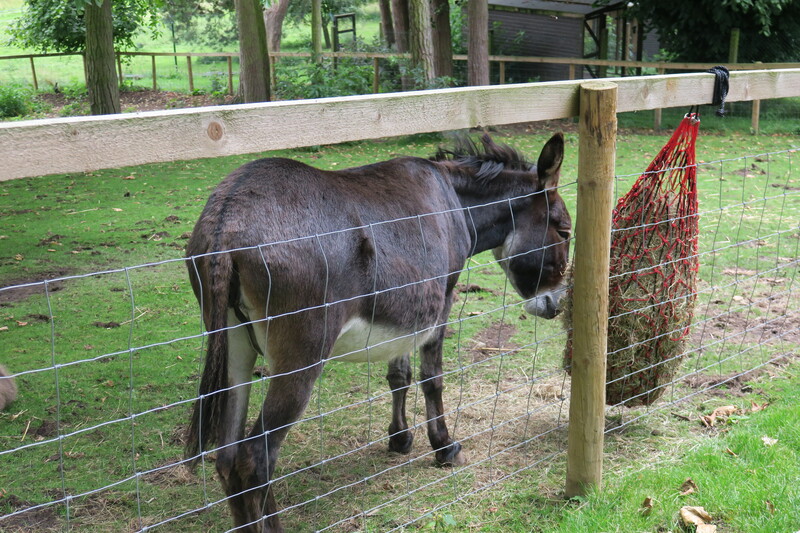 I know exactly what you mean about the dark evenings Marion – I never get used to them at this time of year!! The gardens look lovely Joy, and I see what you mean about the “lurid” coloured cherry! It was very delicious – despite the colour!! Thank you – it is a lovely place to visit. Wow, I totally love that garden. Amazing! Thank you so much for sharing, Joy! Thanks Erika – isn’t it just a beautiful spot. It so is! I love such places!! Wonderful and yes an ice cream cone is always the perfect way to finish off the day. Absolutely Terry, what better way to finish off a stroll than with some delicious ice cream. Oh this is somewhere I think we would love to visit. The garden especially the Himalayan garden looks wonderful. 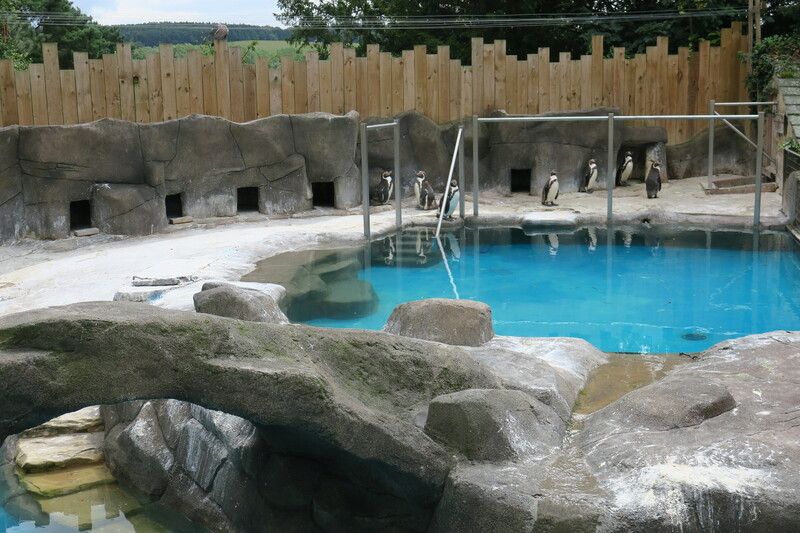 And my son would love the penguins. It’s a really great day out – loads to see and do and something for everyone! We could have watched those penguins for ever. It looks so green and pleasant. I certainly wasn’t expecting the penguins! Neither were we!! A good surprise, who doesn’t love penguins!! Beautiful photos. It looks like a very nice place visit. It is lovely inside and out but also so interesting. Wow! A truly enchanting place. 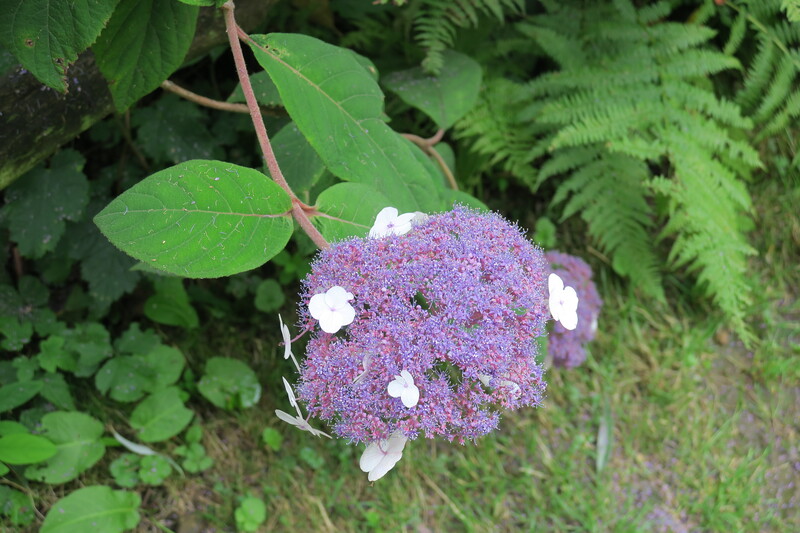 I especially loved the pictures of Himalayan Garden. How many days would you recommend staying there, Joy? 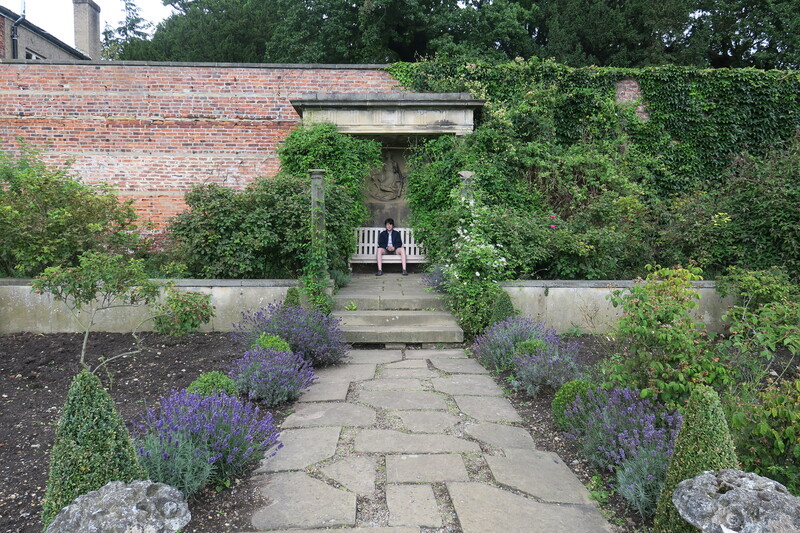 We only visited for a day Agness and that was plenty to explore the house and gardens and still have relaxing time! It is a gorgeous and lush place. That sounds like a lovely walk Rosemary, making a note of it for the future. I think we will most definitely go back to the area and a pub with a walk is just our kind of thing! Oh to be in an English garden! Sounds like the perfect day out! It was – and the sun shone too which for this trip was quite the novelty but really made our day.